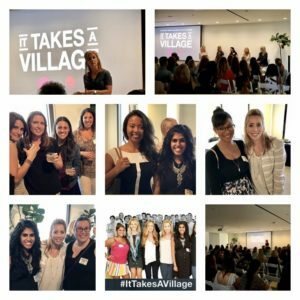 Women’s Leadership Network-Los Angeles chapter attended the July 19th "It Takes a Village" event hosted by Momentum and featuring WLN-LA member, Rebecca Waits on the panel. Lead speaker was author, Lisen Stromberg, COO of The 3% Conference, who spoke about her book "Work Pause Thrive: How to Pause for Parenthood Without Killing Your Career." 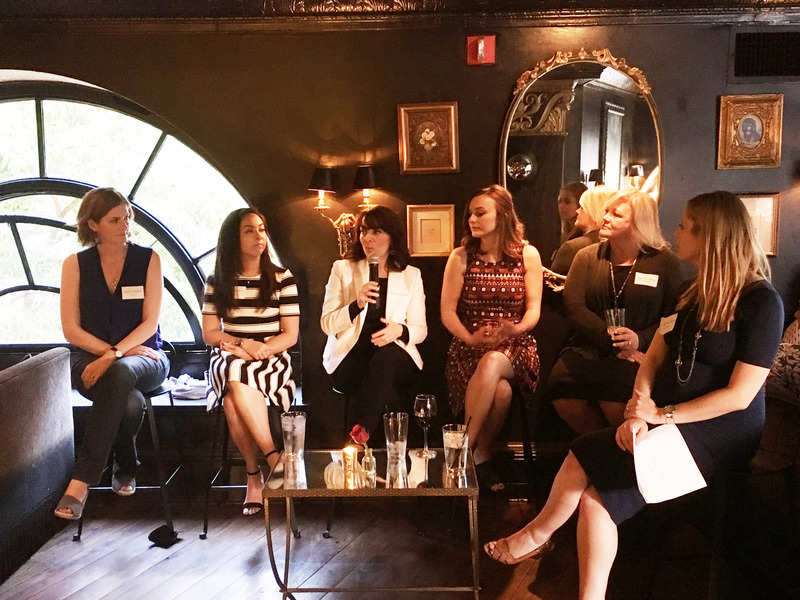 The Los Angeles chapter of the Women’s Leadership Network (WLN) wrapped up their 2015 year-long Mentorship Circle program with a Mentoring Mixer on May 24th. This was an opportunity for participants to meet mentors and mentees from other circles and to recruit mentees for the 2016 circles. The evening included a panel discussion made of up mentors and mentees, a clothing drive for Dress For Success, and a recruitment plug for the next Mentorship Circle session. The evening began with an introduction to WLN LA Chapter and closed with networking amongst agency peers. 55 women from across the Los Angeles IPG agency network attended. Join the Los Angeles chapter of the Women’s Leadership Network for an evening with Dress For Success! 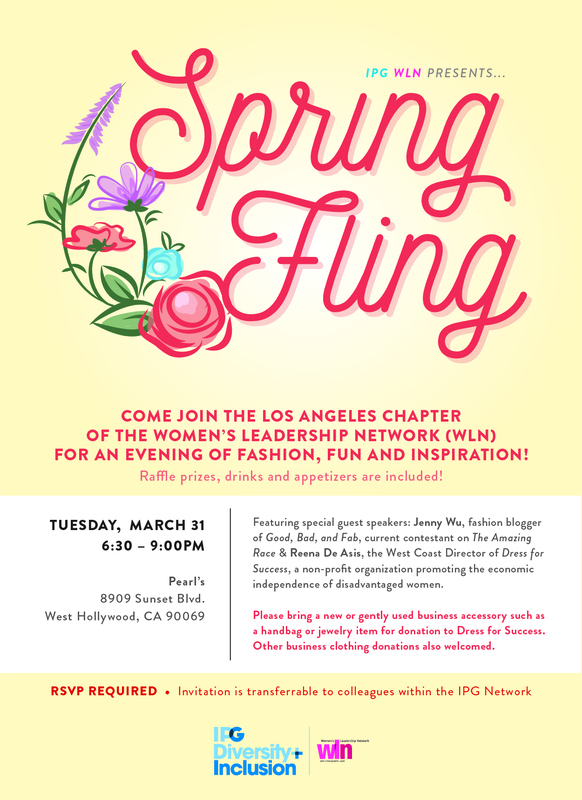 The evening will feature special guest speakers: Jenny Wu, fashion blogger of "Good, Bad, and Fab," current contestant on "The Amazing Race," and Reena De Asis, the West Coast Director of "Dress for Success," a non-profit organization promoting the economic independence of disadvantaged women. RSVP here. On October 3, 2012, the WLN LA Chapter came together for a Work-Life Balance: Sunset Yoga class. Over 20 employees attended the class which was led by Mika Sutch who is a National Account Manager at The Washington Post Digital and teaches Yoga and Pilates in her free time. The class was held outside at Los Angeles County Museum of Art Park. After the class finished, cheese and wine was served while attendees networked. It was a great event and we are planning on hosting similar events in the future. 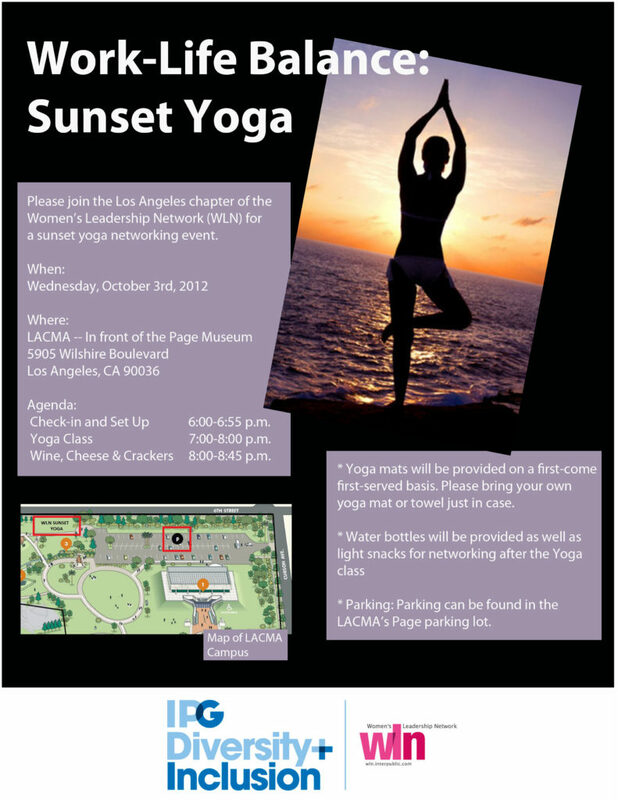 The LA chapter of the Women's Leadership Network invites you to attend “Sunset Yoga”. Please join us on August 29th at 12 noon at IW Group to conduct a WLN brainstorm for events for the second half of 2012. We want for all of you to meet each other and celebrate what a great job you’ve done in spreading the word to your fellow colleagues about all of our events. The agenda for this will come the week prior to the event. Be sure to come with ideas. If you have any questions, please contact Dayana Falcon at Dayana.Falcon@us.initiative.com. See you all on the 29th of this month! 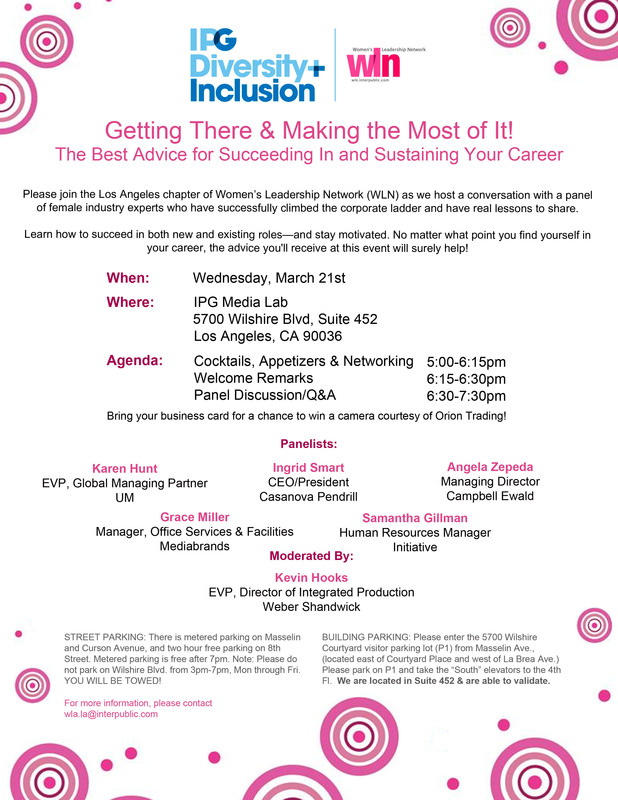 Join the LA chapter of the Women's Leadership Network for a conversation with a panel of female industry experts who have successfully climbed the corporate ladder and have real lessons to share.